1. The first step in green carpet care is regular observance of routine maintenance cleaning. Vacuum as frequently as you can to prevent dirt and grime from building up and getting embedded too deep into the fabric. Clean and mop up spills quickly before they can cause permanent stains. 2. If you can, do make your own carpet cleaning solutions. Don’t take the risk of buying commercial carpet cleaning products with chemical content that may not be safe for you and the environment. From your kitchen cupboard, it may be that you already have all the ingredients you will need to clean your carpet thoroughly. For instance you can use your cornstarch for removing grease, club soda for coffee stains, and salt for red wine spills. 3. For most stains, you can prepare a mixture of 1 cup water, 1 cup vinegar and ½ cup baking soda which you can store in a spray bottle. Spray on spills or stains, blot out the excess liquid and let dry. Alternatively, you can make a paste from a mixture of ½ cup salt, ½ cup borax and ½ cup vinegar which you can rub directly on the stain. Leave for a few hours, then vacuum off the carpet. 4. For very stubborn stains, rub a mixture of equal parts of vinegar and water into the offending spot, blot well and let dry. Then sprinkle baking soda generously over the stain. Next, pour a mixture of ¼ cup peroxide and ½ teaspoon liquid soap over the baking soda. Rub them all down deep into the carpet fabrics with your hands. Blot the excess liquid and let dry. Vacuum them off. Repeat the process until you are satisfied that your carpet is free of stain. 5. For deodorizing the carpet, you can sprinkle it over with baking soda. Let it stand for a few hours before vacuuming. Of course, direct sunlight can kill germs and also be a good deodorizer. 6. If you must buy commercial carpet cleaning products, as when you are a full-time career person and you do not have much in your kitchen, then choose wisely. Avoid those which contain petrochemicals and other volatile chemicals that are known to cause reactions like dizziness, fatigue, even kidney damage if ingested. Stay away from those with contents like hydroxyacetic acid, glycol ethers, tributyltin, formaldehyde, and similar potentially toxic chemicals. Instead, look for the organic-based cleaning products like those which use citrus derivatives or sodium bicarbonate as active ingredients. Check the labels for certification from reputable institutions like the “Green Good Housekeeping Seal,” the “Green Seal” or the “GreenGuard.” As much as possible, buy your carpet cleaning products from recognized green home products dealers. 7. 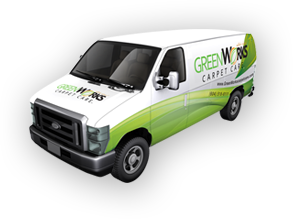 When selecting commercial carpet cleaners for your twice a year professional carpet treatment, be sure to choose only those who use green carpet cleaning products and apply green carpet cleaning practices. Ask them first if they are “Green Business Certified” before making your hire.